Are you a cookbook collector? Or maybe a hand-me-down recipe collector? Share your thoughts and experiences with others. Started by jo kilgore Jan 29, 2016. How do I take care of an Antique Book? Started by Joshua A Thompson. Last reply by Joshua A Thompson Mar 26, 2012. Started by pine street art works. Last reply by Deb Jani Jan 31, 2012. Started by C. Dianne Zweig Editor's Desk. Last reply by RosaInGlousta Dec 6, 2011. Started by C. Dianne Zweig Editor's Desk. Last reply by C. Dianne Zweig Editor's Desk May 6, 2009. Started by Colleen Smith. Last reply by Kymberly King Apr 6, 2009. Started by Colleen Smith. Last reply by Kitschy Koo Feb 9, 2009. 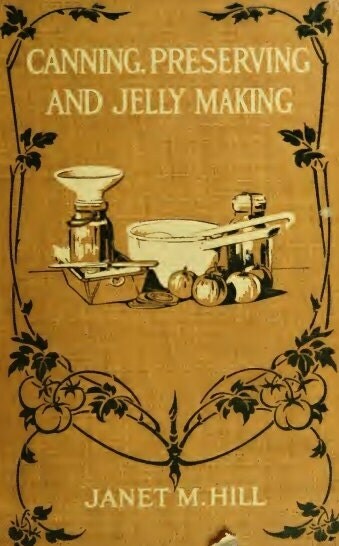 You need to be a member of Vintage Cookbooks to add comments! I have collected many cookbooks, some written in French also. They came from a family estate and my own collection over time. Meryl, thanks, now can we get others to vote.....can you help?